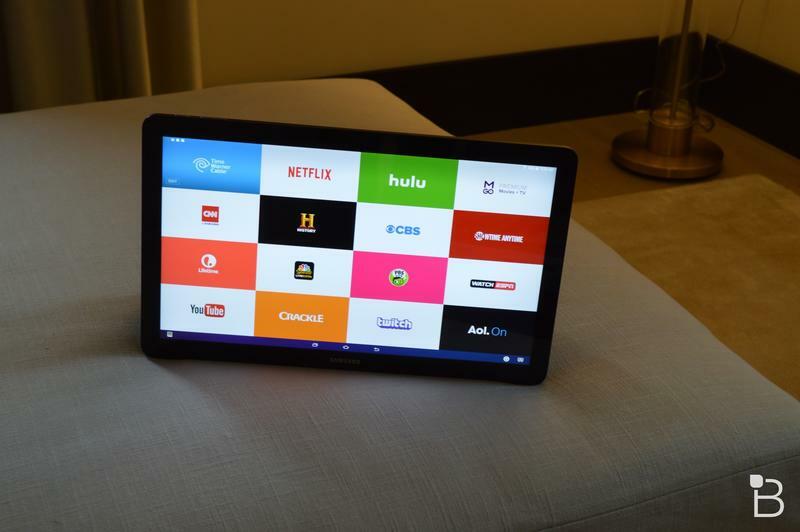 We’ve been using the Galaxy View for about a week now, and we wanted to bring you some of our thoughts on the huge tablet now that we’ve spent plenty of time with it. The funny thing is, Samsung really did create a new product category with this device. 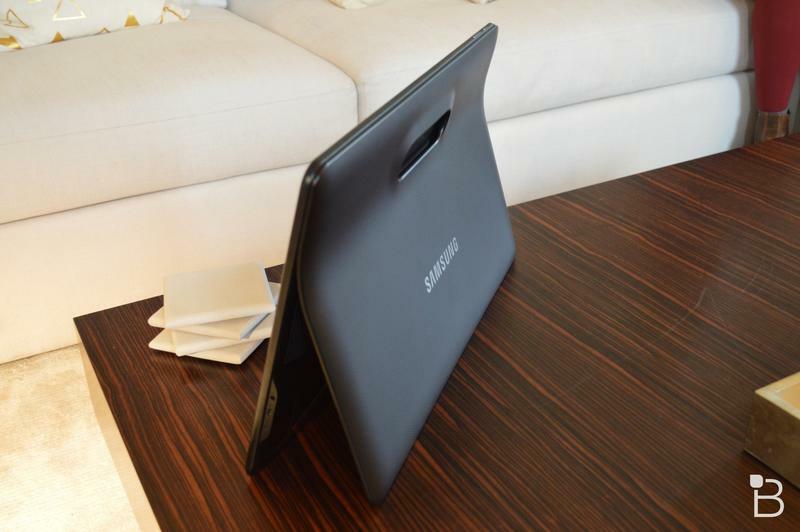 We originally went into the review thinking that the Galaxy View is just a big tablet. 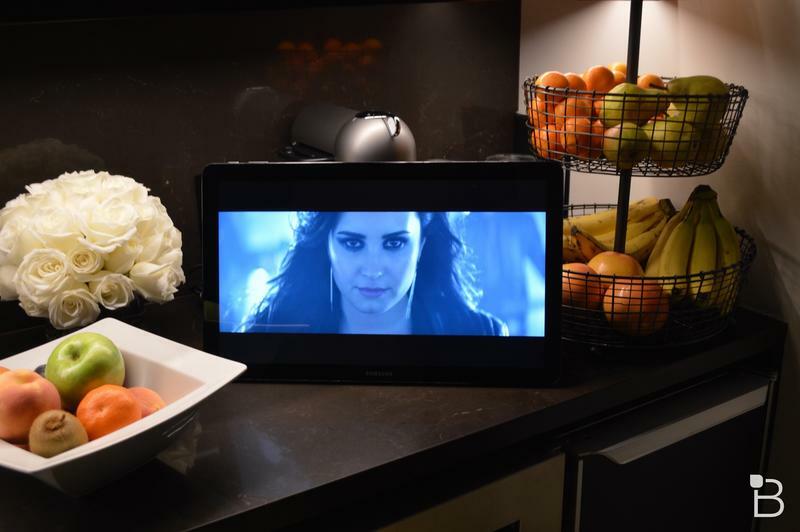 But it’s really something else, some sort of hybrid between a tablet and a television. And we actually kind of dig it. 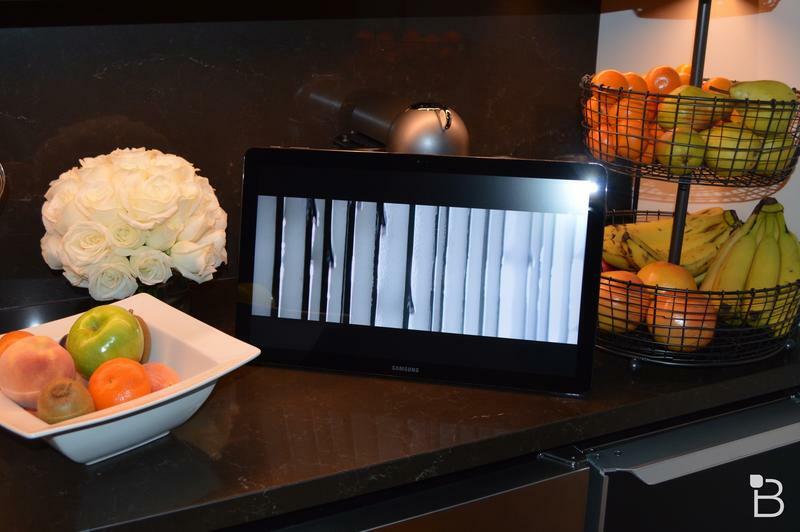 Since it’s such a new device, and one that’s hard to really compare to anything out there, we figured we’d bring you a list of five things you need to know about the Galaxy View. It’s not here to compete with the Apple iPad Pro, and it’s different than anything we’ve ever used. The closest product we could compare it to is the Alcatel One Touch Xess, though we haven’t had a chance to play with that device. Anyway, here’s what you should know. 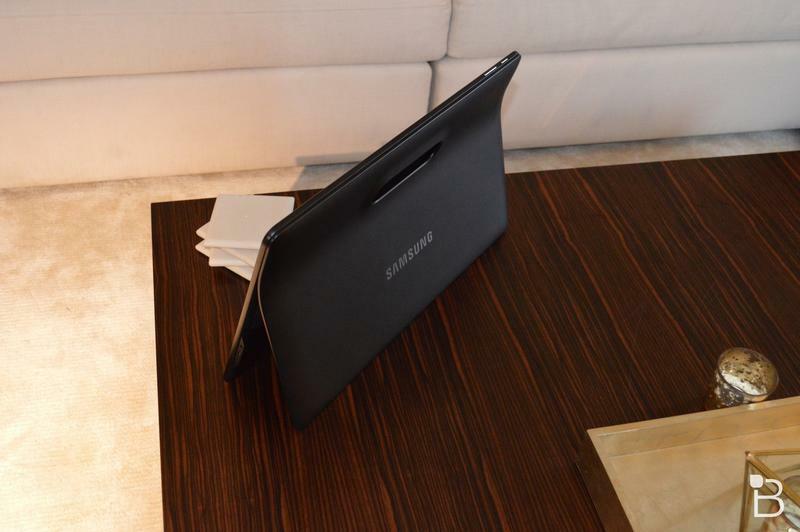 Samsung has made this much pretty clear: the Galaxy View isn’t meant for productivity. 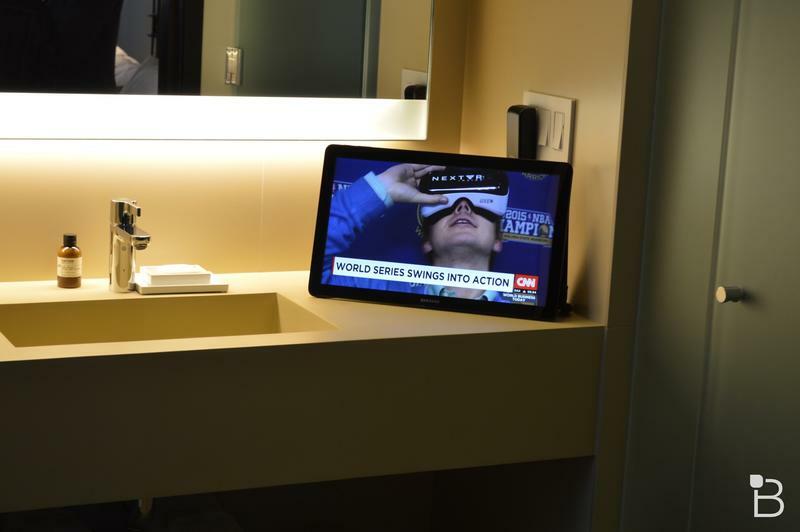 During a briefing in New York City, the company showed us how it could be used in a kitchen for watching TV, in a living room for gaming, in bed for catching up on YouTube, or even for the news in the bathroom. But it never once showed it as a tool for work. Sure, you could hook up a keyboard and mouse if you really wanted to, but we’ve found that it’s perfect for everything else instead: a portable TV that moves around the house and stands on its own. A lap companion when you want one for gaming. And it’s refreshing to look at a product and think, gee, I don’t have to work from this thing. I admit, I was super skeptical when I left the Samsung briefing. What is this thing? I wondered to myself. Well, it’s great for watching part of the presidential debate at my desk, and perfect for toting right into my bedroom for some Cartoon Network before bed. It’s also awesome for playing a quick round of Vain Glory on the couch, or for hooking up to a Bluetooth gaming controller for some Asphalt 8. I’ve also found myself watching a football game on the Galaxy View while my wife watches Property Brothers on HGTV. Sure, I can do this with any other tablet, but nothing else I own is this big while at the same time being incredibly portable. This is my big, big gripe with the Galaxy View. 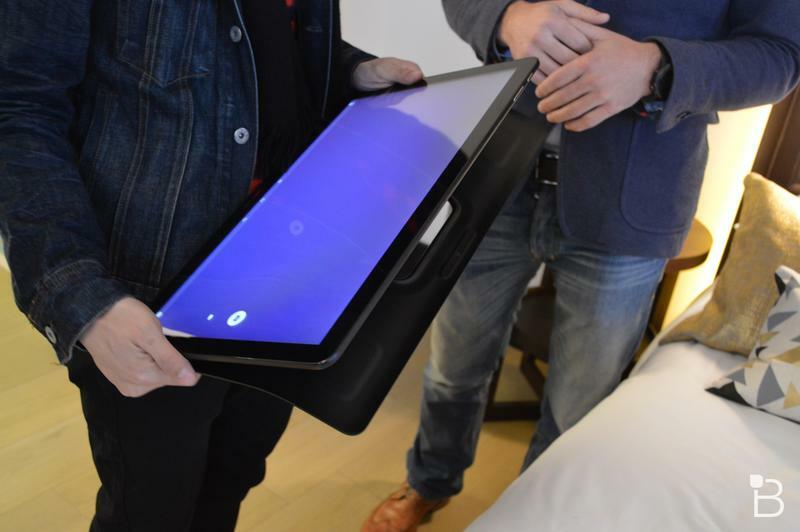 In its quest to build something that isn’t quite a tablet, Samsung also handicapped the Galaxy View by attaching a handle that can’t be removed. It’s attached to the two-position stand, which I’ve already said works well, but I ran into a few instances, like in bed, where I didn’t want the stand or the handle at all. It also makes the View too big for toting around in a bag, since it pops out at such a weird angle at all times to prop the tablet. 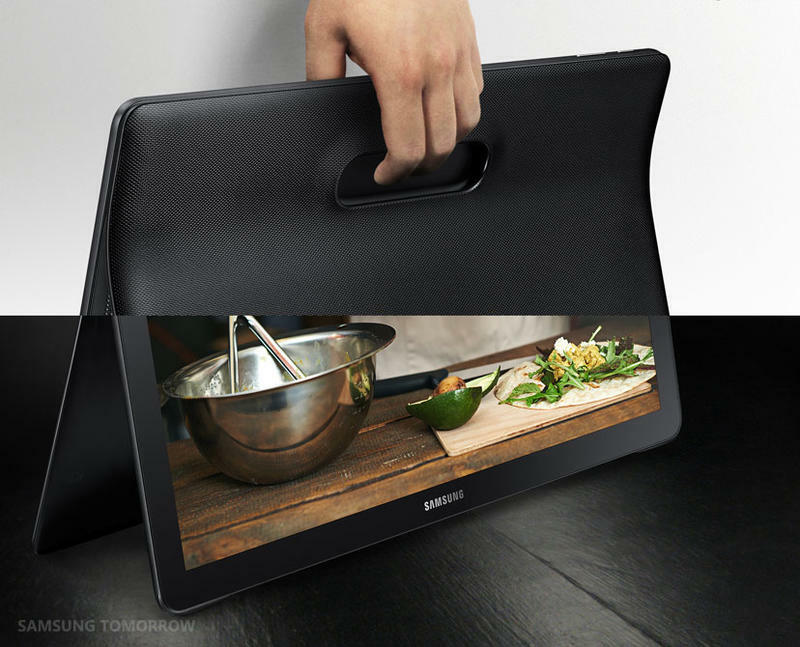 Samsung says it’s going to sell a special bag for toting it around, which seems like an unnecessary purchase. It’s supposed to fit right into carry-on luggage, too, but I can rarely fit an extra pair of socks let alone an 18.4-inch tablet. The Galaxy View has two pretty decent speakers hiding on the back side, and they actually get nice and loud. I accidentally tested the prowess in bed one night while my wife was sleeping, and it was certainly enough to annoy her into elbowing me. I was easily able to hear a movie I was streaming over Plex in my living room, and it’s far superior to any other tablet or smartphone I’ve used, which helps answer the question: why this over a tablet? My biggest gripe was the 1080p display. Samsung is king of the awesome display market and I expect a bit more for the starting price of $599.99. Really – you can buy a 55-inch Smart TV for that price, so why cough up that much for an 18.4-inch display? The screen was fine for watching movies and TV shows, but I really noticed the lack of resolution when I was up close gaming, or sifting through menus. Also, it smudged really, really easily. 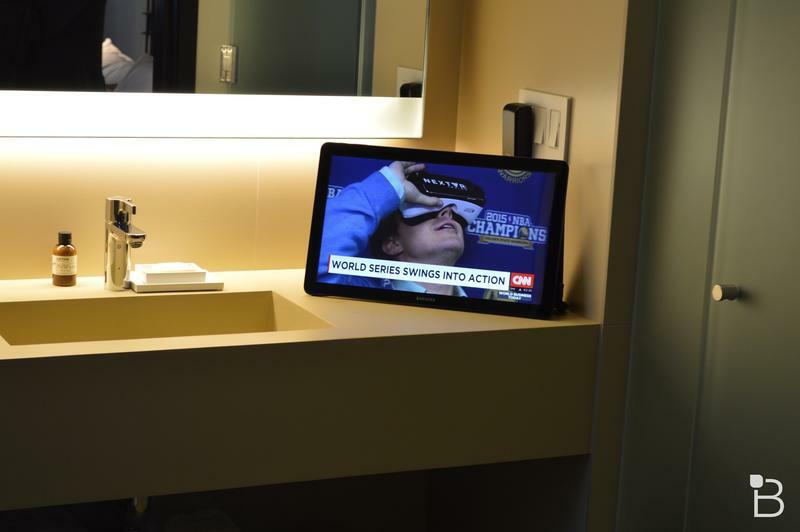 No surprise there, since it’s a touchscreen made to be touched, but you’ll want to keep a clean cloth nearby.